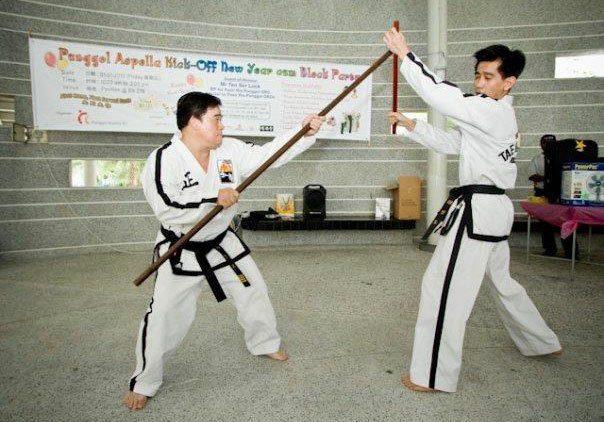 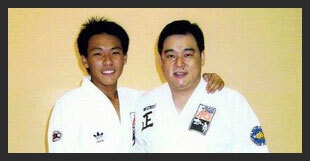 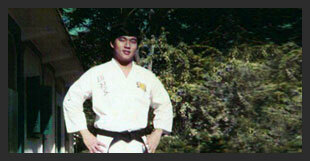 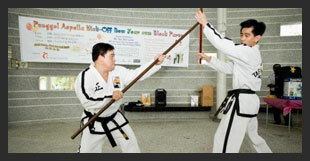 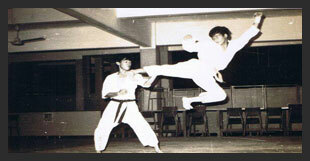 Master Albert Ong started learning Martial Art at the age of ten in 1969. 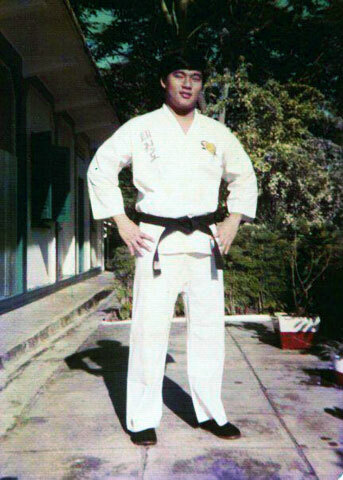 Born in a family with Grand-dad and uncle who practises Chinese Martial Art, he would often see his Grand-dad practising the Sanchaku which interested him to take up Martial Art. 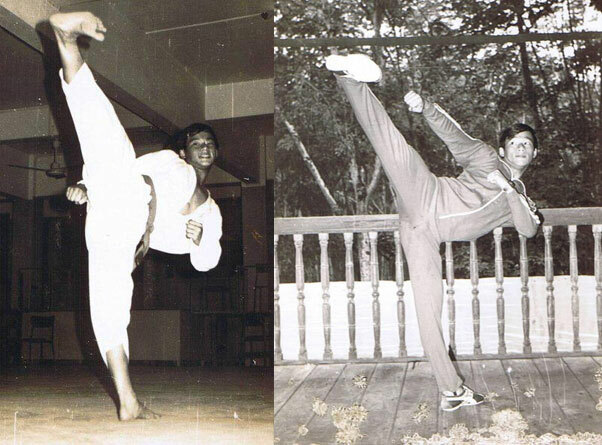 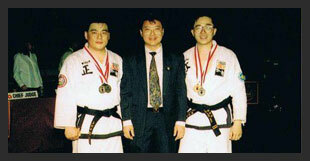 Master Ong then started Tae Kwon-Do with the Singapore Taekwon-Do Academy (STA) in 1971 at the age of twelve, under the training of the late Grandmaster B S Huan. 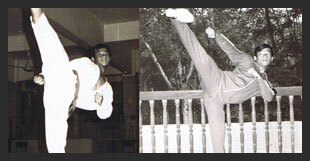 Master Ong attained his 1st Dan-Degree Black Belt in 1973 (Photo 1 & Photo 2). 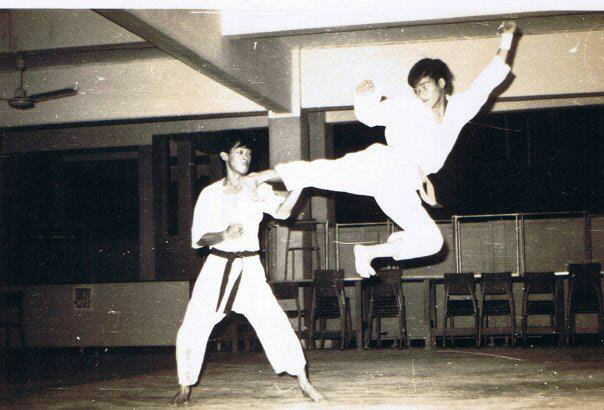 Master Ong was also a Tae Kwon-Do Instructor in The Singapore Air Force at Changi Air Base under Security Fight in 1978, National Service days (Photo 3). 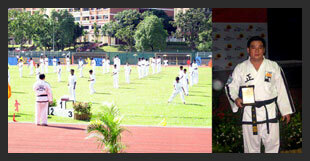 STA Demonstration Team (Photo 6 & Photo 7). 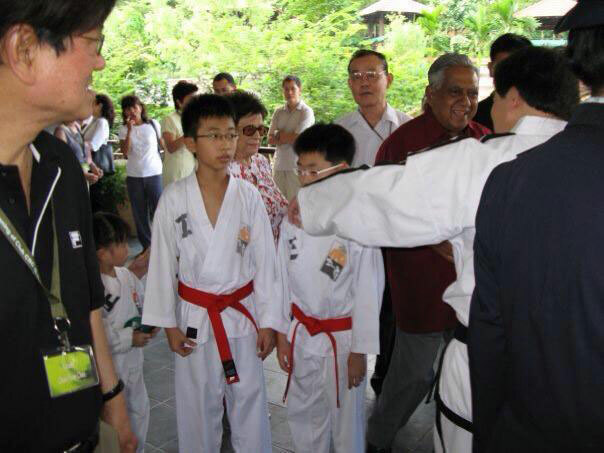 Introducing students to The President of Singapore (Photo 8). 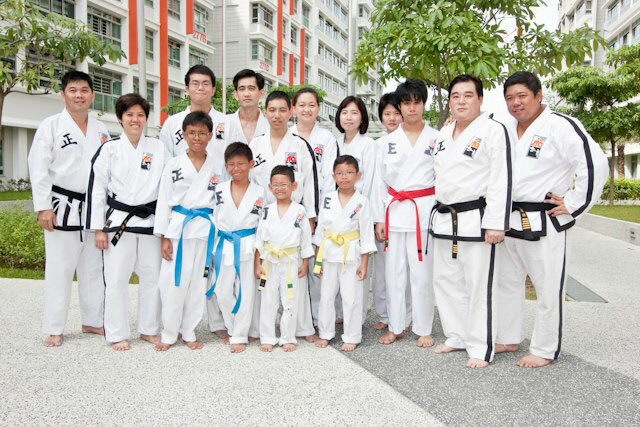 Master Ong started Tae Kwon-Do classes in 2005 in Global Indian International School with late Grandmaster B S Huan which to date having over 100 students. 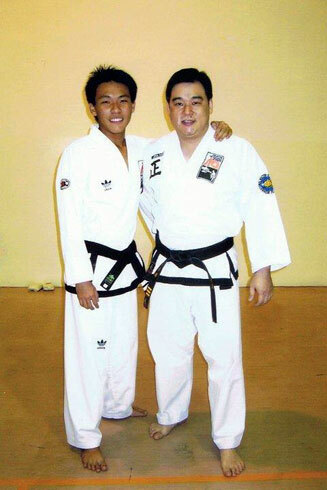 Mass Drill with Master Albert Ong & Long Service Award 2010 (Photo 9). 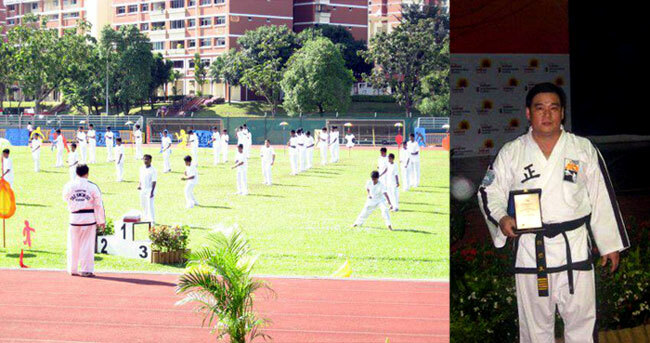 In 2013, he started new classes at Pinnacle@Duxton RC. 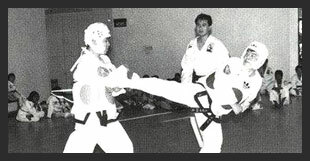 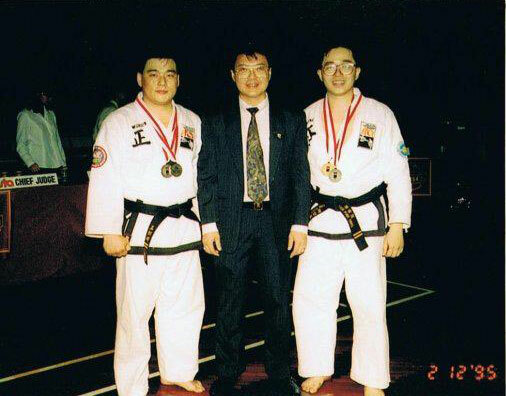 Master Albert Ong is currently a STA 5th Dan-Degree Senior Black Belt Instructor and was Assistant to the late Grandmaster B S Huan from 1995 to 2012. 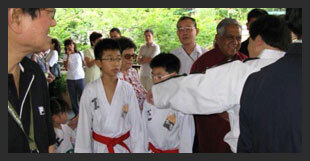 He conducts Traditional Tae Kwon-Do classes in Singapore Civil Service Club (Tessensohn), Tanjong Pagar Community Club, Several RCs, Global Indian International Schools (Queenstown and Balestier) and private one to one lessons.